The Phantom III is designed to supply research and failure analysis laboratories with state-of-the-art plasma etch capability using single wafers, dies or parts using fluorine and oxygen based chemistries. The system has a compact, modular design built on a space-saving platform. The cathode and anode are both machined out of single blocks of aluminum. After critical inspection they are hard anodized for protection from process chemistries. The bottom electrode is available in either 200mm or 300mm sizes and can process single wafers, dies or parts up to 300mm in diameter. Process gases are introduced into the chamber either by an annular ring or showerhead manifold. The uniquely designed network is built in as an integral part of the bottom electrode. Matching assembly to ensure accurate tuning, low transmission loss and virtually no RF Network radiation outside the network itself. The network uses a phase magnitude sensor and amplifiers to provide instantaneous feedback for quick precise tuning. The system comes with a 600 watt, 13.56 MHz, solid state RF generator. through each sequence in a logical fashion and gives fingertip control of all process parameters. The PC process controller provides simple and reliable system control. The graphical software package creates programs in block diagram form. Process recipes are stored on the hard drive or can be stored on USB flash drives allowing each operator to maintain individual recipes. The AC distribution module automatically distributes predefined power quantities to the various internal components. When the Emergency Power Off button is tripped, the RF power is shut off and all valves involved with gas delivery are automatically closed and the machine powers down to a safe standby mode. This system includes separate power controls for the main AC and peripherals. 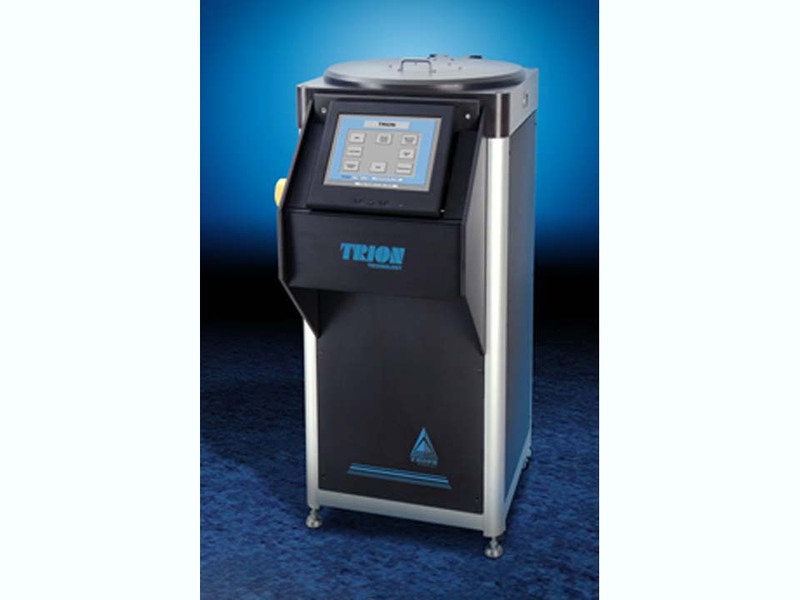 Every Trion system includes a butterfly pressure control valve operated directly by Pressure the process controller. 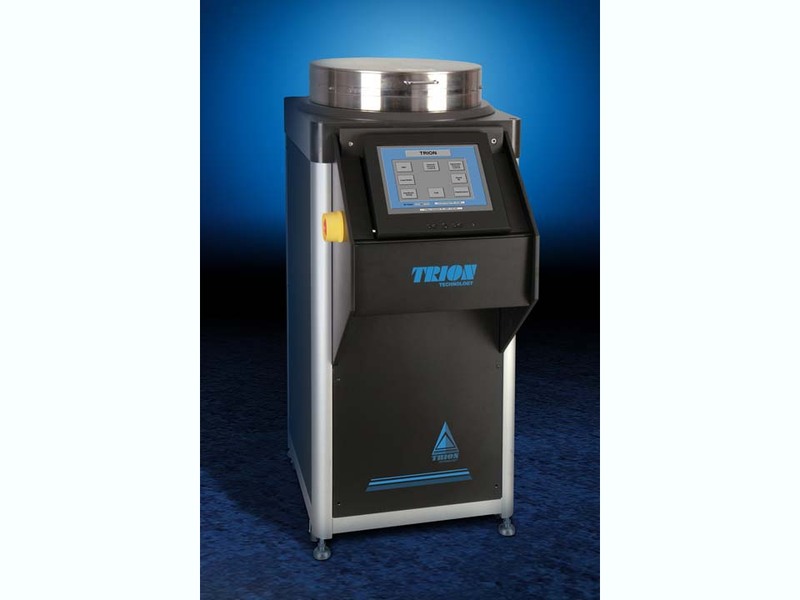 This provides independent pressure control separate from all other processing parameters. State-of-the-art technology is utilized to ensure the utmost integrity and purity. Each reaction chamber accommodates up to eight mass flow controllers and all plumbing utilizes surface mount, C-seal technology or orbital welded VCR fittings. Electromagnetic Compatibility Directive 89/336/EEC for CE Marking requirements. A third party safety review is available upon request. Facility schematics can be provided upon request. fluorinated or any non-toxic, non-corrosive chemistries. applications and processes, please visit www.triontech.com.